TORCH PROPANE WEED BURNER Rentals Ft. Collins CO, Where to Rent TORCH PROPANE WEED BURNER in Ft. Collins, Wellington, Greeley, LaPorte, Loveland, Windsor CO and all of Northern Colorado. 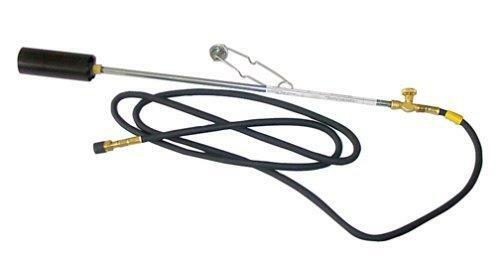 TOOL LENGTH 36", HOSE LENGTH 10', BURNER DIAMETER 3". REMOVES PARKING LOT MARKINGS, REPAIR ASPHALT/TAR. * Please call us for any questions on our torch propane weed burner rentals in Fort Collins, Wellington, Greeley, LaPorte, Loveland, Windsor CO and all of Northern Colorado.